Game wardens in Wyoming work for the state’s Game and Fish Department which administers more than 400,000 acres of land. Wyoming’s diverse habitats include valleys, rivers, forests, and prairies, making it a paradise for game wardens to work in. In fact, the Game and Fish Department oversees approximately 100 species of wildlife and fish. In addition to enforcing conservation efforts, Wyoming’s game wardens also collect data on bird, game, and fish populations and create educational presentations for the public to inform them about hunting and fishing regulations and the need to conserve the state’s habitats. Since game wardens in Wyoming are responsible for a large amount of territory under their jurisdiction, the jobs are both physically and mentally challenging. However, many residents seek this challenge and are driven to become game wardens for the state of Wyoming. The Game and Fish Department carefully reviews applications to ensure that they hire only the best and brightest. The ideal candidates for game warden positions in Wyoming are men and women with an aptitude for both law enforcement and conservation practice. Ideally these applicants should have experience in both of these areas. The hiring process is highly selective. Therefore, all applicants must be prepared to demonstrate their experience and knowledge and show how they would be an asset to the Department if hired. Citizenship: Proof of U.S. citizenship or of permanent resident alien status for those who are eligible and have applied for citizenship. Must be a Wyoming resident at the time of appointment as a game warden. License: A valid Wyoming-issued driver’s license is required. Individuals must maintain a record of ‘good’ driving. Academic Credentials: High school diploma or its equivalent. A bachelor’s degree in wildlife or natural resource management, biology or biological sciences are required. Degrees in criminal justice, law enforcement, and outdoor recreation do not meet the hiring standard. Hearing: Candidates should have a ‘normal’ range of hearing with and without ambient noise, and may be subject to a hearing test. Vision: Vision correctable to 20/20 in each eye. Normal binocular color vision with a full field of periphery is required. No other vision conditions are present. Candidates will be assessed throughout the training period and periodically throughout employment. Innovative, intuitive and engaging while on patrol by a variety of means. Salary data from the Wyoming Department of Employment indicates that game wardens in the state earn significantly more than many of their colleagues throughout the U.S. At $61,839 ($29.72/hour), the median salary among game wardens in Wyoming exceeded the national median for this profession by 20% ($10,109) as in 2016. Wyoming’s game wardens earned an average salary of $56,879 ($27.35/hour), while those with the most experience whose salaries fell within the top 10% averaged $62,441 ($30.02/hour). 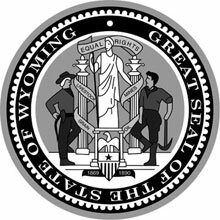 Earning an average of $43,959 ($21.13/hour), even entry-level wardens in Wyoming with salaries that fell within the bottom 10% earned more than more experienced wardens in many other states.